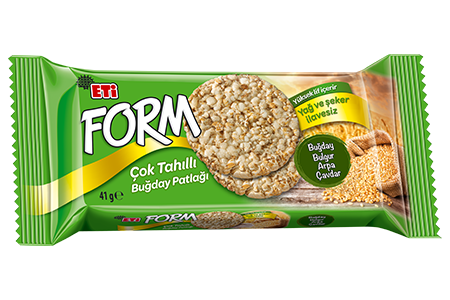 A new high-fiber, multigrain snack by Eti Form, nutritious and tasty, with no added fat and sugar! We blended barley, wheat, rye, oats, bulghur and popped them like popping corn. We added a bit of salt to bring out the flavor of the grains. We are offering to your taste, Eti Form Multigrain Puffed Wheat, consisting various grains with high fiber content.